What Rights Do Authors/Creators Have? Which Rights Should You Retain? 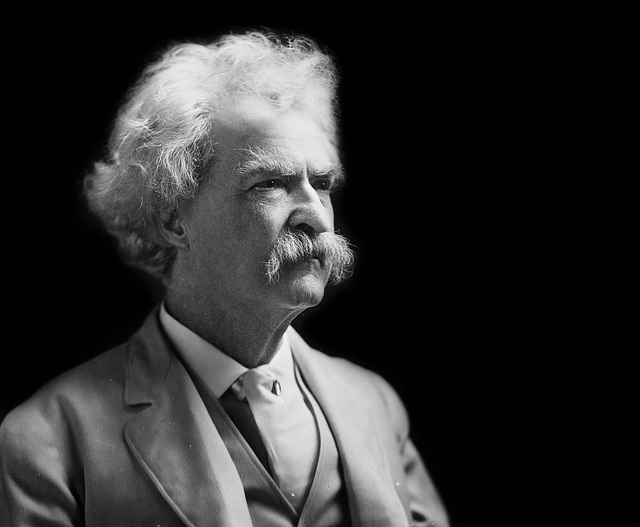 Image credit: Photo of Mark Twain courtesy of Pixabay. https://pixabay.com/en/mark-twain-american-author-writer-1602117/ CC0 license. Traditionally, most journal publishers require that authors sign their copyrights over to them when negotiating publishing agreements. With the rise of the Open Access movement and the U.S. government's requirement that scholarship resulting from federal funding be publicly available, publishers have yielded somewhat in their stringent publication agreements. Many authors wish to self-archive the published results of their research and also wish to archive their publications in their institution's repository. Publishers' policies vary a lot. The SHERPA/RoMEO database provides summary information of publisher copyright policies and self-arching. Publisher policies and author agreements are often found on their websites under the author information or article submission sections. If your publisher doesn't accept an addendum they may offer a contract that allows authors more rights. Here are a few examples of publisher copyright agreements that allow for authors to retain some rights. By negotiating changes to the standard contract prior to publication helps authors retain their rights. So before signing a publishing contract, it is recommended that authors cancel and modify the contract language from granting "exclusive" rights to the publisher to granting "non-exclusive" rights to the publisher. Initial any changes and submit a signed copy to the publisher. Publishers often will accept amended contracts. 2. Use an author addendum that works for you. An addendum provides you with the additional opportunity to grant other rights to the public - such as the freedom to use the work for non-commercial purposes provided attribution is given - which fosters further use and impact of your work. Here are a few examples. 3. Creative Commons helps you publish your work online AND it tells the world exactly what can and can't be done with your work. When you choose a license, Creative Commons provides you with tools and tutorials that let you add license information to your own site, or to one of several free hosting services that have incorporated Creative Commons. Crews, Kenneth. 2013. Copyright and Your Dissertation or Thesis: Ownership, Fair Use, and Your Rights and Responsibilities. Retrieved from https://media2.proquest.com/documents/copyright_dissthesis_ownership.pdf on September 27, 2018. Schoefield, Brianna, & Walker, Robert Kirk, eds. 2018. Understanding and Negotiating Book Publication Contracts. Retrieved from https://www.authorsalliance.org/wp-content/uploads/2018/10/20181003_AuthorsAllianceGuidePublicationContracts.pdf on October 15, 2018.